The Peninsula at Treviso Bay has announced that the first residents moved in on Tuesday, November 27th, 2018. The new homeowners are Naples locals, and decided to move from their Gulf Shore Boulevard high-rise to the Peninsula. The happy homeowners were eager to leave the elevators, corridors, and condo rules in their high-rise in search of the privacy, personal space, and freedom that the Peninsula offers. The Peninsula at Treviso Bay allures residents with a luxurious, low maintenance lifestyle comparable to high-rise living, but with many more opportunities. “We are thrilled to have our first residents living in the neighborhood! The Burano floor plan is a great choice and we are confident the residents are already loving the laid-back lifestyle,” says Curtis Gunther, Development Manager at the Peninsula. The new residents purchased a Burano model Quick Delivery home. It is a 5,035 total square foot home equipped with four bedrooms, four and a half bathrooms, and an expansive outdoor living area. In purchasing one of the Peninsula’s Quick Delivery homes, the residents were able to save nearly three months of the construction process by moving forward with a home whose base structure was already complete while maintaining the ability to customize the space to their liking. The couple chose to work with their own interior designer, who coordinated with the Peninsula’s designer to ensure that the interior matched cohesively with the coastal contemporary architecture. There are currently two model homes, two Move-in Ready homes staged with optional furniture, and two Quick Delivery homes available at the Peninsula. The Peninsula is a gated luxury golf and lakefront neighborhood within the master-planned community of Treviso Bay. All 55 home sites at the Peninsula are lakefront and overlook the TPC Golf Course. The coastal contemporary style homes designed by Kukk Architecture are built exclusively by Imperial Homes of Naples and are designed to maximize views with each of their six open floor plans. Homeowners may customize any of the estate homes to their liking. 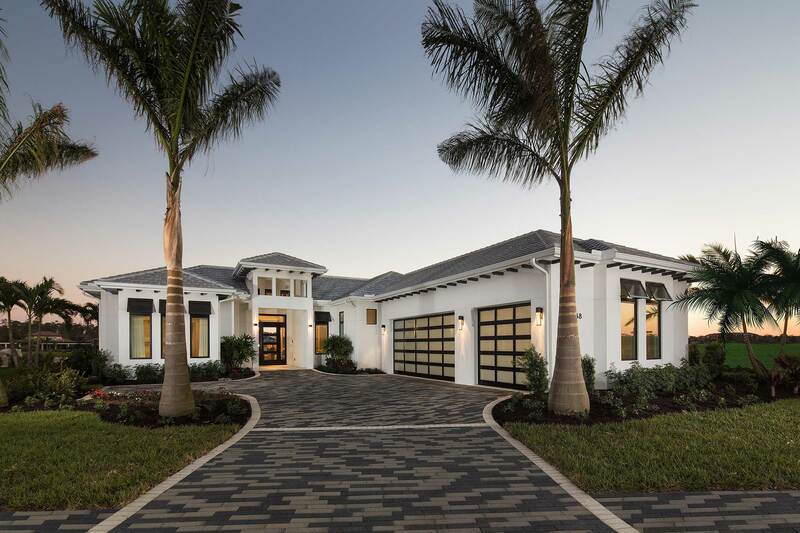 For more information, call 239-249-6830, visit https://peninsulanaples.com or come by the Sales Office, located in the Treviso Bay Sales Center, 9004 Tamiami Trail East, Naples. Model homes and Sales Center open daily 10-5.